← Should I Spend Donuts on the Brick Townhomes and Manacek? Once you’ve completed that task you’ll automatically be awarded the Canadian Checkpoint and you’ll be greeted with a popup message giving you the option to store or place it in your Springfield immediately. Once placed, it will require a 4 hour construction build time. 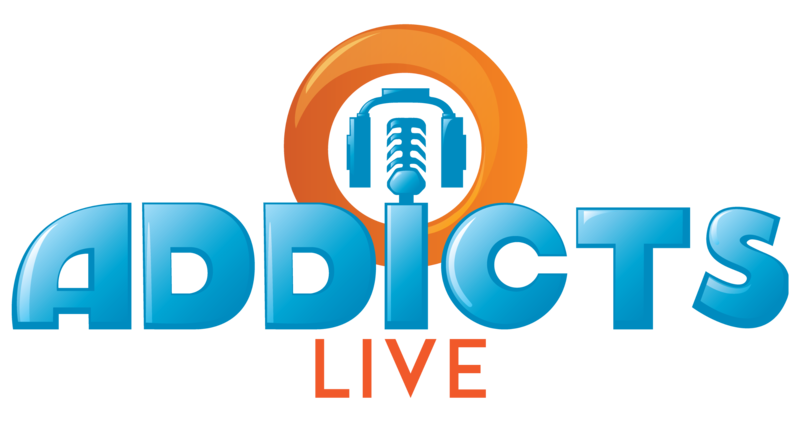 What does it do: Earns $200, 20xp every 12 hours. Also comes with a Free Land Token. It also comes with some funny dialogue. Border Agent: Welcome to Canada, eh? Home of the constant apology. We’re sorry for having such a lame motto. Homer: You can make it up to me by not checking my trunk. Border Agent: Sounds fair to me! More about the Canadian Checkpoint and other Canadian references can be found in this article here on the 150th anniversary of Canada. And that completes the details of the third Homer vs 18th Amendment prize! 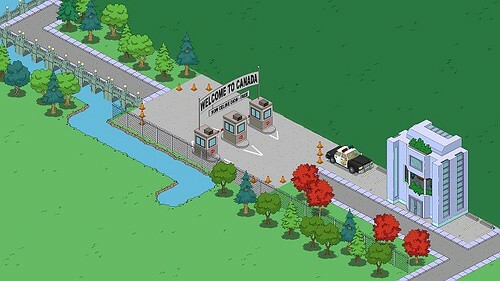 What are your thoughts on the Canadian Checkpoint? Where have you placed it in your Springfield? Ever cross the Canadian border? Sound off in the comments below, you know we love hearing from you! This entry was posted in Decorations, Homer vs 18th Amendment, Tapped Out, Updates and tagged Canadian Checkpoint, Free Land Token, Homer vs 18th Amendment update, tapped out, TSTO, TSTO Homer vs. the 18th Amendment event. Bookmark the permalink. I put the Canadian border at the airport for now. Other then strong beer, legalized marijuana, ice and tree’s not much else available to build a Canadian part of town. P.s I saw someone mention Krustyland for the first time in a while. Has there ever been a exclusive Krustyland event before my time? The last time you had to visit Krustyland, was the “The Princess and the Pea-Brain” at level 43 to get Princes Penelope. Not sure how it could work but a Krustylamd mini event would be cool. Hardly go there anymore almost need a reason to these days. A (mini) Krustyland event would very welcome. I visit mine daily for the very, very tiny chance for the 5 free donuts. The most remote part is permanent Valentine Day Exhibition. A useful place for all the junk we get at that day. LOL, my most remote part of Krustyland is also Valentine’s Day exhibition. Great minds think alike. What do you mean, 5 free donuts in krustyland? No, never an exclusive Krustyland event. I created a Canadian border with maple trees and Virgil’s Cabin in my top right corner, which I’m quite happy with. Unfortunately I can’t seem to get the flag outside the cabin to fly. Tapping doesn’t seem to do it and the original prize guide doesn’t shed any light. Can anyone help? I believe that if you have Grant Connor (who comes with the Springfield Hunting Supplies) and send him on his 24 hour task “Live Off the Land”, he can go to Virgil’s Cabin and animate it because it is a “Camping Building” but it only works if he is very close to the Cabin or he will go to another location for the task (similar to getting Wise Guy or Babysitter Bandit to a specific house such as the Bad Dream House). If you want to know the other “Camping Buildings” available then check the Should I Buy post on Grant and the Hunting Supplies. Other than that, there are no direct permanent tasks at Virgil’s Cabin at the moment. Thank you so much; that’s a great reply. I don’t have Grant but hopefully there’s another option for me. I totally forgot this event was still going on. Shows what an impression it made on me. I’m still mad about no longer being able to buy land with game cash. Land expansion was really the only reason to tap for cash. I’m sitting on almost $400,000,000 with nothing to spend it on and nowhere to put it. I absolutely refuse to spend real money on donuts while this is the way it is. With the free items from events becoming less and less desirable, there’s little reason for me to keep tapping. Way to go EA. Also, WHY, WHY, WHY will EA not open up the rest of the land on the Springfield Heights side of the mountains to even it up with main side? I guesstimate that I will hit the 1 billion game cash mark at the beginning of summer. I know what you mean. I have over 1.2 Billion now, and plenty of donuts. What I really want is a better menu system for all of the stored junk and a trash can to put the junk grind items that I don’t have room for. Does any one go to Krustyland anymore? YES! Daily for sync reasons. I have multiple OS devices and it helps transfer my phone gains to ipad gains and back again everyday. 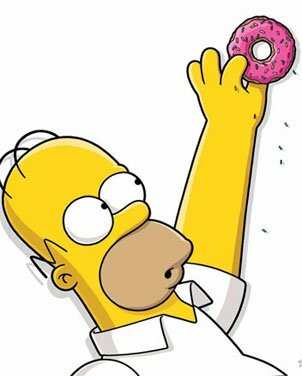 Plus as crappy as it is the balloon game does give donuts once every 4 months…….. I do at least twice a day! I play Sideshow You twice a day. I’m trying to hit a million Krustyland Tickets again. Taking me longer to finish this mini event than I thought it would. That’s ok though, just saying. Possibly have final item by late Sunday. Kind of a weird prize. I have absolutely no idea where I’m going to place it. Anyone have suggestions? For now I put mine in the One Week Wonder Films lot I created for things I don’t like or don’t fit yet in my town. When we finally get more land along the mountains, i’ll probably put it up there. Or I could put it with the other decor from the event that gave us all the worldly decorations. Still working on that area as I need more land along the mountain side of town. I’ve put it on a few Squidport tiles. Awsome idea. I never thought of that. I like the iceberg as an added touch 👍😄❄️❄️. Mine’s at the entrance of Springfield Heights for now. Mine, too…right at the tunnel exit into SH. D’oh. WordPress only has a “Like” button. I don’t Like your design. I LOVE it!!! Stealing it too! I was thinking of putting it in the Springfield Heights for now until more Canadian items are released (anything is possible for EA) in between the two mountain ranges on the land furthest away from the beach. 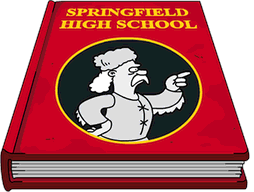 Right in the heart of your Springfield!! !